^^^ Yeah pimp thats what im talking about..
looks good. Can you do something like yours? With a lil more flash? Are you talking about mines or Gemini's buddy. 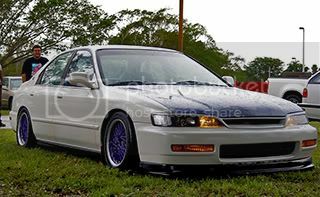 Your Accord is really nice. 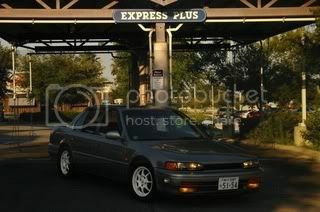 I remember seeing pics of it from the Savannah meet! Nick how are you gonna update the pic on your profile @ myspace and not on your sig...hmmm..lol. P.S I got nothing but luv for ya buddy..
its just a band that i got from church. Can't remember what it says. But i will find out for you tonight. Thanks again for the comment. Seve anna does all the updating on my myspace not me lol. thats not me buddy, thats colsaw. He got a thread going, making them at request. Where R the pictures of the intercooler without the bumper? Last edited by Grumpys93; 05-07-2015 at 08:00 PM. And i am trying to find the pic of my intercooler and piping without the bumper i think it is on my other camera but i will find it. 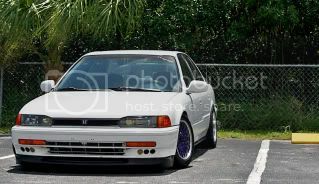 Im buying the exact same intercooler you have (the 87 supra one)....Did you have any problems with the mounting of it?...or was it fairly straight forward.. I think we have the same type of plans....The only difference being I wanna look sleeper...then have the BOV give it away haha. Good job keep up the awesome work. hey very nice ride. i want to put a civic radiator in mine, but do you have to relocate the coolant overflow? ya but its real easy just unscrew the holder and take tapping screws and screw it onto the other side. As for being a sleeper the dsm bov is real quiet. Until you hit full boost. And most of the sound is drowned out by the exhaust. i will try and blow off in someones ear to just tell them i am something to mess with and don't really want to race and they won't hear it. But ya i like the bov i have. Also as for mounting the intercooler it wasn't that hard i mainly used zip ties to hold it in place and two screws since none really matched up. But it was fairly easy. You just have to cut out a lot of the support beam to make it fit. Last edited by Grumpys93; 05-07-2015 at 08:03 PM.